Are You Looking For A Professional Calera Electrican? When you are looking for comprehensive electrical services for your Calera home, you want to be sure that you are working with the best electrician in the business. When you are looking for the best electrical service the Calera area has to offer, you can always find it right here at Advanced Electrical Company, LLC. Our team of Calera electricians can help you with a wide range of services for your local home or business, including electrical repairs, panel upgrades, and even total rewiring. With the help of our experienced professionals, you can keep your home running as safely, effectively, and efficiently as possible at all times. Here at Advanced Electric Company, LLC, each and every one of our professional Calera electricians are fully licensed, trained, and experienced in the field to ensure you get the unmatched quality service you need to keep your system functioning its best at all times. We understand the important role your electrical system plays in you and your family's daily lives, and as such, we will work hard to quickly and accurately resolve any and all issues you might be experiencing. If you have any questions about our full line of high quality electrical services, or if you would like to schedule an appointment for service with one of our specialists, give us a call today. Our team of experts are always standing by and would be more than happy to assist you in any way we can. As your home gets older, it is inevitable that at some point you are going to wind up with various electrical hiccups on your hands, and when that time comes, you want to be sure you have a professional Calera electrician you can trust on the job. 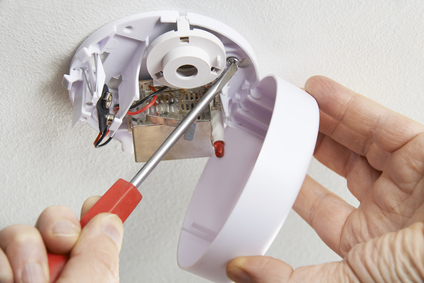 Electrical issues are something you should never attempt to repair yourself, as it is easy to wind up doing more damage than good if you don't know exactly what you're doing. Our team of Calera professionals can help you quickly, accurately, and safely identify where your issues are stemming from and give you the quality repairs you need to completely resolve them in no time at all.